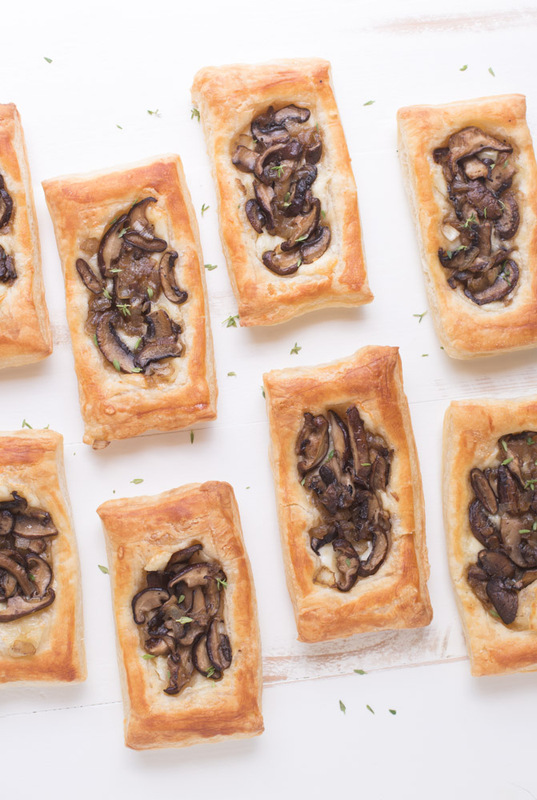 Today we’re talking about these savory little Mushroom Brie Pastries. They stole my heart at first bite. 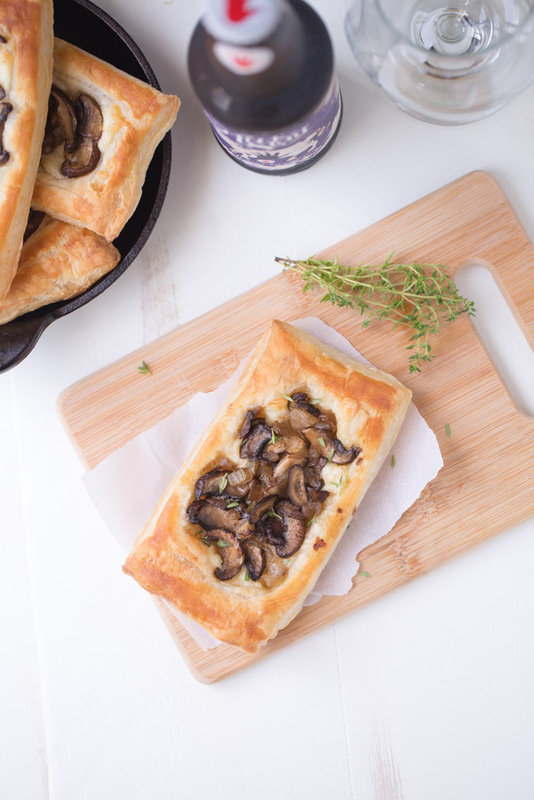 Mushrooms + Brie + Flaky buttery puff pastry = ♥︎. Bur first, I have to tell you what happened to me on Monday. I came home from work. I was going to go for a walk/run (walk/run: because I walk more than I run) but it was raining so I stayed in, lifted some weights and did some squats. Dinner was easy; we had leftovers. By the time we had finished dinner, the rain had subsided. Now was my chance – I could go for a walk/run. I plugged in my headphones, turned on the Runkeeper app and started blasting some tunes. Once I reached the entrance of my neighborhood, I started on a steady jog. I was enjoying the music, musing on the days happenings, future vacations and what we would do with my mom this weekend. She’s coming to visit. We always like to take her somewhere nice for dinner and show her around town. When I was about 3/4 of a mile away from my house, something terribly amusing and equally terrible happened. I tripped over a crack in the sidewalk. I tried to catch myself from falling but I failed miserably. I fell face forward and landed on my left knee, slightly scraping my right knee right along with it. I rolled over to the right. I noticed all of the cars driving by. Sheesh. I just gave a ton of people a huge laugh. I told myself I was okay. I got up and continued on my jog. After about a 1/4 of a mile, I noticed a slight pain in my knee. I decided to look down. Blood was dripping down from my knee all the way to my shin. It was nasty. I told myself that maybe it wasn’t a good idea to run so I stopped, cut my walk/run short and briskly walked home. When I got home, I assessed my knees. My left knee looked really horrible. The outer layer of skin was gone. It was a bloody, swollen mess (it still is, but now a nasty, dark bruise popped up to accompany it). I actually thought for a moment that I may have broken it but Ken said I wouldn’t have been able to walk, much less jog, had I broken it. The right knee didn’t look half as bad but it was pretty nasty, too. Shucks, no more running or doing squats for a while. My knee is still in pain and it feels extremely weird. But I am able to walk, drive (I drive a manual transmission, hooray for shifting!) and even navigate stairs. I will recover. And hopefully, cracks in the sidewalk won’t eff with me again. These mushroom brie pastries were born from a package of Dufour Puff Pastry. Dufour pastry is more expensive than the big brands but it’s all natural and it tastes 1000 times better. Creamy brie cheese creates a soft, savory bed for the sauteed mushrooms and onions. An egg wash helps the outer edges of the pastries achieve a beautiful golden color. Fresh thyme finishes off the pastries nicely. Once the pastry dough is thawed, prep to serving time amounts to about 35 minutes. These mushroom brie pastries can be made ahead of time and reheated for about 30 seconds in a microwave. 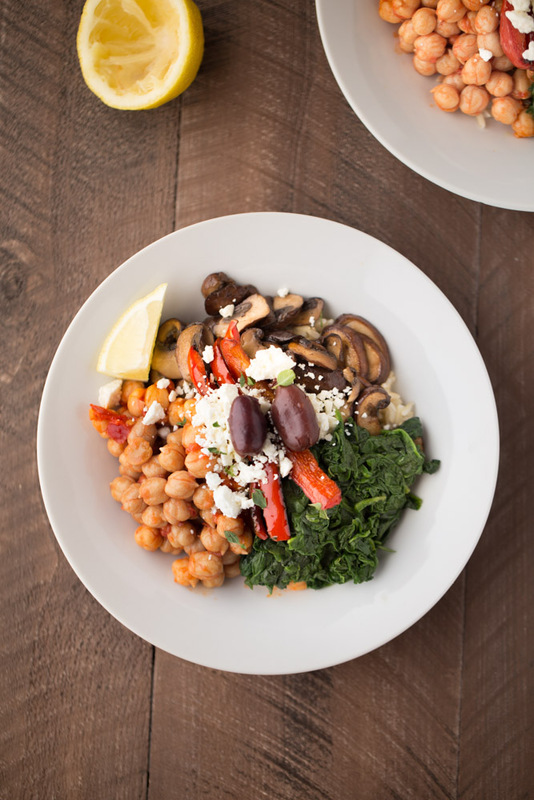 Serve as an appetizer or serve with a light salad for a complete meal. Dust a flat surface with flour. Lay out the pastry and cut into 8 equal rectangles. Cut a ½ inch border around outside (do not cut all the way through the pastry). Prick holes inside border with a fork. Place on the prepared baking sheet. Heat a skillet over med high heat. Toss mushrooms with garlic powder, salt and pepper. 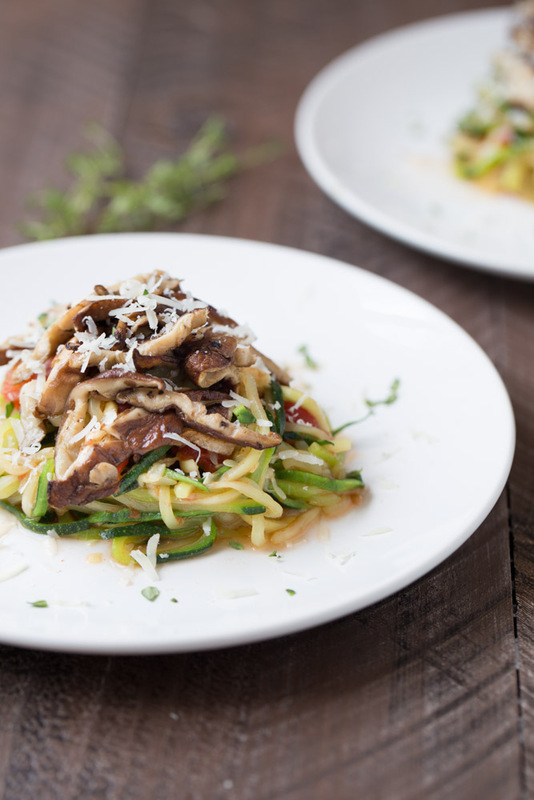 Drizzle with olive oil and toss to coat. Place in skillet and sauté until tender. Place pieces of Brie within the border of the pastries. Then divide the mushroom mixture between each pastry. Whisk together the egg and water. Brush on the borders of each pastry. Bake 400 for 20 minutes. Once done baking, remove from the oven and set aside to cool for 5-10 minutes. The amount of brie cheese used will depend on your taste preference and will alter nutrition data. Nutrition data reflects 4oz of brie cheese. These pastries look amazing, I love finding a reason to use brie! What a delightful dish! Perfect for summer! These are delightfully delicious! Love the mushrooms and cheese with pastries! I’m sorry to hear about your running incident! I hate to admit I’ve done the same thing a few times- I am so clumsy, I’m amazed I’m not in a permanent body cast. This looks like the perfect appetizer, love the addition of brie! These pastries look FANTASTIC, Julie. 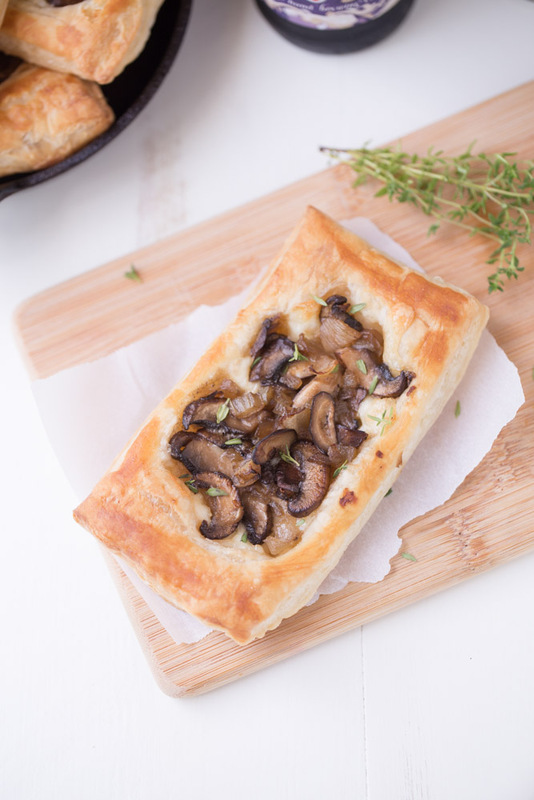 Mushroom and cheese pastry sounds like an awesome idea! SO YUM! I’m so sorry to hear about your incident Julie! I hope you are feeling better now! These mushroom brie pastries look delicious, pinning! Thanks Mira! I am getting better – the knee is still a little sore but it’s getting better every day. Thank you for your sweet comment and the pin. Have a great week! Yum, just looking at these make me so happy. I’m so addicted to mushrooms that it isn’t even funny! I’ve been waiting to get some puff pastry and now I know exactly what to make with it! I would absolutely love for you to come party with us over at Throw Back Thursdays going all weekend long! 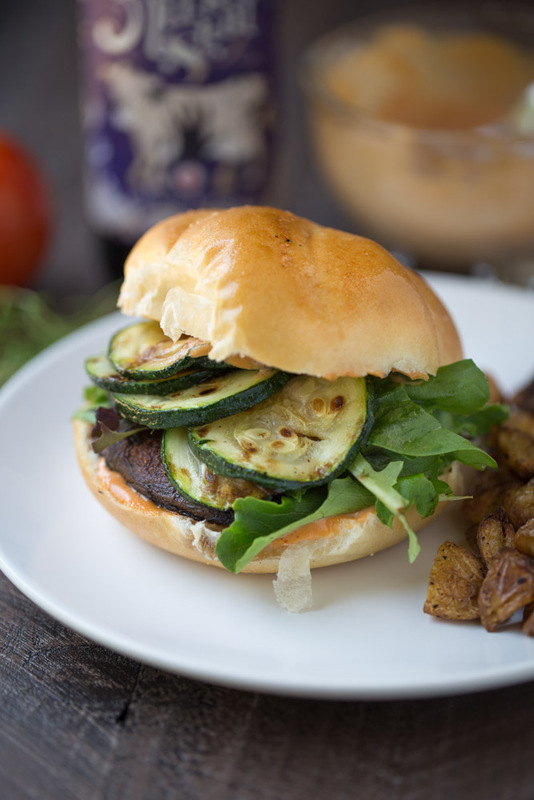 Mushrooms are one of the best things ever – I feel ya on being addicted to them! Thank you for stopping by, Alli. Have a lovely week!